Luyties Bioplasma is a balanced combination of all 12 basic Luyties cell salts tissue salts for a restorative revitalizing effect on a daily basis. Need all the 12 basic Schuessler cell salts tissue salts? Bioplasma is the easiest way to get all 12 cell salts in one dose since Bioplasma has all 12 tissue salts in one tablet. Unfortunately, Bioplasma is only manufactured in tablet form and in Bioplasma Sport which is a powder specifically for use for athletics or exercise in a dissolved drink form. There is no lactose free option of Bioplasma. Bioplasma can be purchased in several forms. Besides the Bioplasma Sport mentioned above there is the Luyties Bioplasma which can be purchased on this page below. Luyties Bioplasma comes in 500 tablet bottles and can be in 6x or 30x potency. There is also Hylands Bioplasma which comes only in a standard Hylands potency which is a combination of 6x and 3x potencies. The Hylands Bioplasma comes in either 500 tablet bottles or 1000 tablet bottles. To see all Bioplasma options on one page please click HERE! Bioplasma can be used for many functions and ailments. Bioplasma uses natural replenishment of minerals in your body to aid the body's natural processes without side effects. Bioplasma is made of the basic tissue salts which are the basic composition of tissue in the body, so when your body is low or depleted of these tissue salts or of a specific tissue salt your body begins to function poorly or inefficiently. Bioplasma is needed and effective to replenish each tissue salt deficiency. The basic cell salts found in Bioplasma have been used since the early 1800s when Dr. Schuessler and Dr. Luyties both used each tissue salt in their homeopathic remedies. 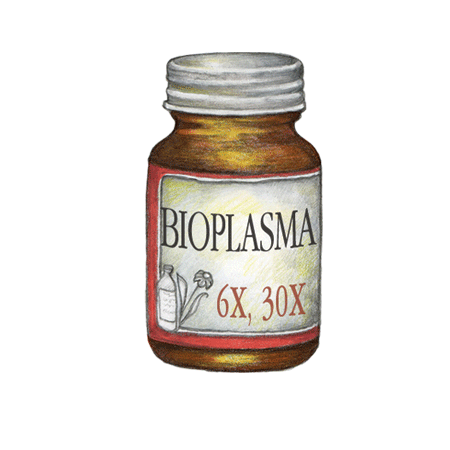 The tissue salts found in Bioplasma were found to replenish and revitalize the body and tissue salts have been used around the world ever since. For more information about the development of tissue salts and Bioplasma and the role that Dr. Schuessler and Dr. Luyties had in the development of each tissue salt, please see the info links tab.